The impact of development needs to be considered beyond the narrow focus of economic, ecological or social concerns. 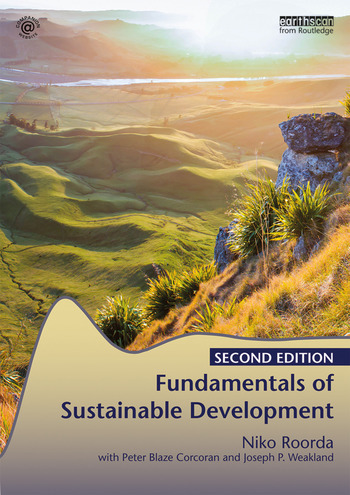 This new and expanded edition builds upon the first edition’s accessible and comprehensive overview of the challenges linked to striving for a sustainable, holistic approach to development. Providing a multifaceted approach to the subject in order to encompass what is referred to as ‘people, planet and profit’, this second edition provides a complete update of the text, with increased coverage of new and major topics including the Sustainable Development Goals and the circular economy. An interactive and complete educational tool, the book comes with a website containing exercises, learning goals and summaries for each chapter as well as over forty video clips. It also offers a ‘lecturer section’ which includes a PowerPoint to accompany every chapter, and answers and explanations to the exercises. This stimulating book is an invaluable resource for students and lecturers in all disciplines who have an interest in the sustainability of our planet, and our human society and economy. Niko Roorda works as a senior consultant on sustainable development, corporate social responsibility and change management for companies and universities in several countries. Based on more than 20 years of experience in these topics, he received his PhD title at Maastricht University in 2010. For his achievements Roorda received the Dutch National Award for Innovation and Sustainable Development.